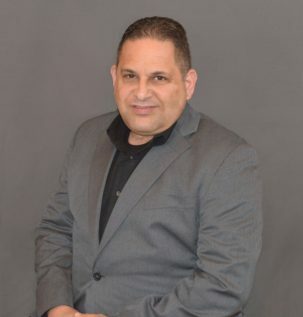 Scott Lewis - Rosenfield & Co.
­­After graduating from the University of Central Florida with a Master’s Degree in Accounting, Scott became a CPA and started his career with two privately held automobile dealerships from 1996 – 1998. As one dealership was acquired by AutoNation, Scott acted as a corporate liaison during that transition period. Scott joined Rosenfield and Company in 1998, and has been with the firm ever since. Scott is the Firm Leader of Dealer Services and previously led the Tax Services Team. He has also been involved with Merger/Acquisition Services, Attestation, Litigation Support, and Business Valuations, among other services offered by the firm. As a trusted adviser for Rosenfield and Company, Scott has worked as a consultant, assisting with the operations and profitability for their clients. Scott has also acted as an interim controller for several automobile dealerships and is very familiar with the operations of the large Dealer Management Systems, including Reynolds and Reynolds, CDK Global (formally ADP), and Dealertrack. Scott has grown with the firm to represent clients of all industry, providing deep bench strength in his niche of the Automotive Industry. He spends a great deal of time representing Rosenfield and Company at networking events, industry association meetings and client summits to stay on top of the latest industry trends to better serve Rosenfield and Company’s clients. He is at the forefront of the firm for IRS tangible and personal property regulations. He has been involved in many cost segregation and repair and maintenance tax studies, and has written extensively on the subject, especially as it pertains to remodels and real estate purchases. Scott has been named an expert witness in selected litigation cases, and has testified in front of the IRS on LIFO methodology. He has written many whitepapers and articles for newsletters and other publications on tax related subjects and for the varied industries Rosenfield and Company represents. Scott enjoys spare time with his wife and their two daughters whether it be at the movies or by the beach near their home on the East Coast of Florida.